Eryn graduated from BGSU in 2013 with a BFA in Graphic Design and a BA in Biology. 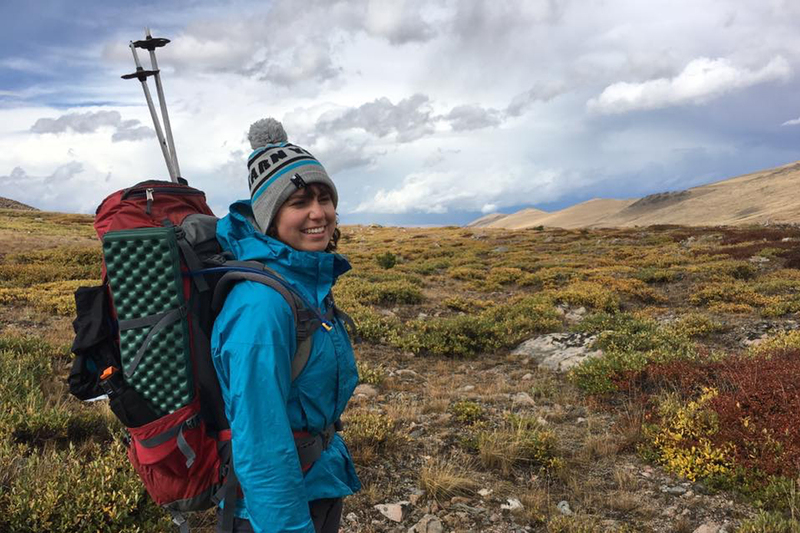 Currently, she is the Senior Graphic Designer at NOLS: a nonprofit, global wilderness school that educates students in leadership, outdoor skills, and wilderness medicine. She will be transitioning to an Art Director position in January. Honestly it was an in-state and affordable option where I could pursue both of my passions, design and biology. At the time I wasn’t sure what my future career would be, but integrating the two diverse fields of study was incredibly important to me and BG was the one school that actively worked with me to achieve this goal within my 5 years there. What has been your favorite school project and what has been your favorite professional project (at your current job or elsewhere)? My senior thesis was probably my favorite project. 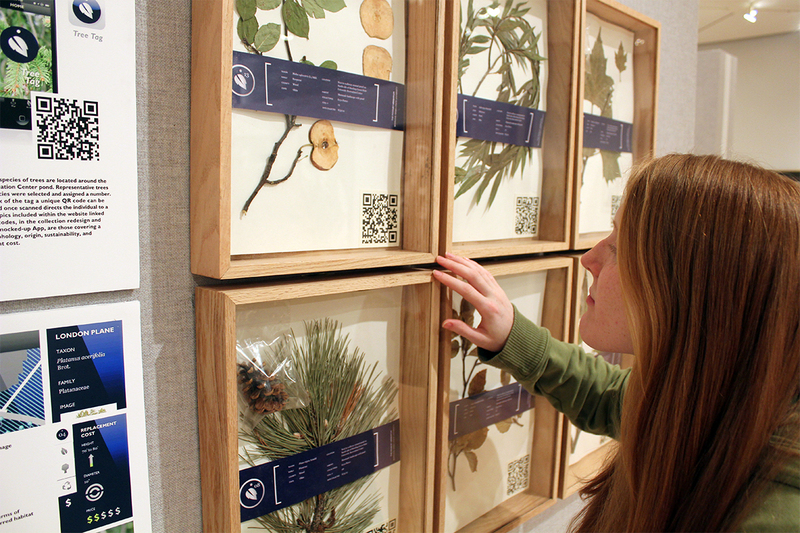 I was able to incorporate biology and graphic design into a comprehensive interactive piece. I made an app that allowed students to engage with technology and science in a real world setting. 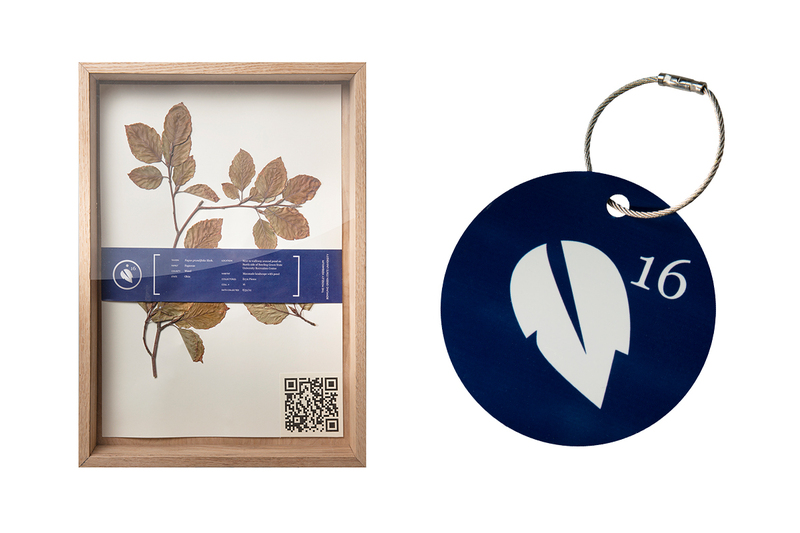 By scanning a QR code tag on a tree, students were able to see photos of the tree during all four seasons, leaf type, fruits or cones, and details about the tree like species name. This project was impactful, because it was the first time I could really envision a future where I was utilizing both my majors. 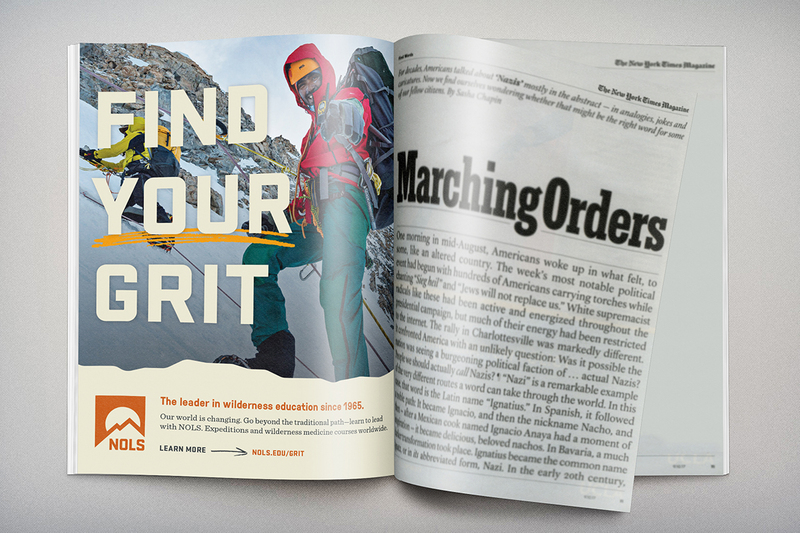 I recently had the opportunity at NOLS to create a campaign in The New York Times called the Find your grit campaign. This was an incredibly fun experience, because it was an opportunity to design for a large audience and spread awareness about our brand. 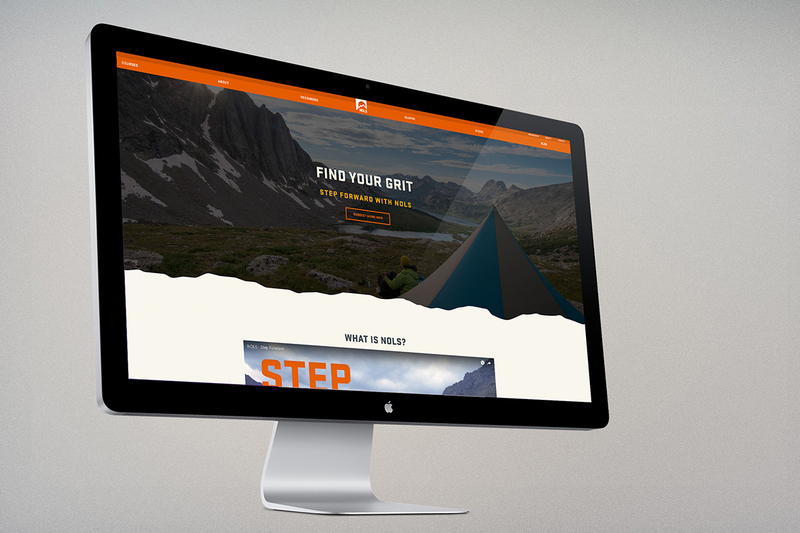 I was in charge of creating print ads, web ads, and a landing page to encourage people to sign up for a course and it was also a great opportunity to promote inclusion in the outdoors. It’s a fact that women and people of color are underrepresented in the outdoors and to be able to showcase those individuals in this campaign was empowering. Challenge yourself and push yourself as much as you can. Seek out mentors and create work that you’d want to showcase in your portfolio for years to come. If you have the opportunity to do freelance, do it. The more practice you get working with clients and making quality designed pieces, the easier it will be to transition from a school setting to a professional setting. I still have projects from college showcased on my own website and I like to look back on them and see where I pushed my creativity and conceptually. These pieces inspire and motivate me to keep that love of learning and creativity alive in my everyday work. Furthermore, as I hire new designers I’m always looking for individuals who have experience in web and UX design. So I believe it is critical to come away from your college experience with a basic understanding of these growing fields. It will ultimately help you stand out in this competitive field. It’s kind of crazy, but yes it is! I never thought I would be in my dream job so soon after I graduated. 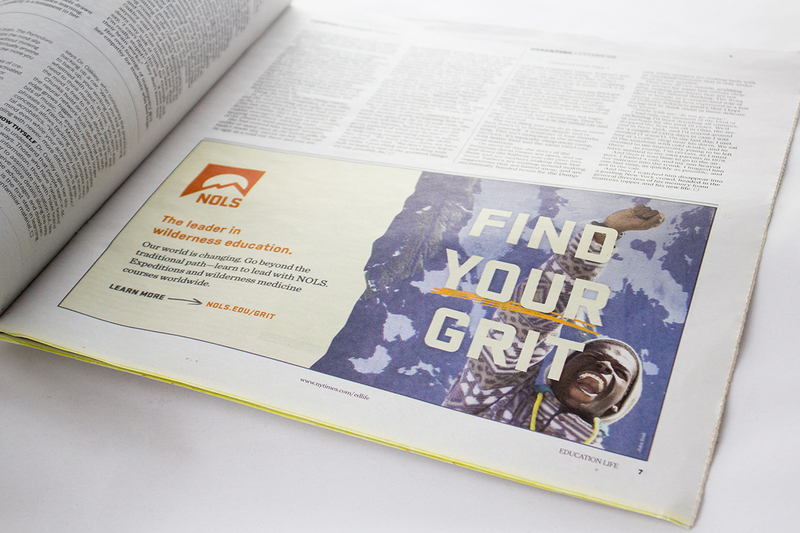 I pretty much stumbled upon NOLS through the AIGA website looking for an internship and if I had never took that chance to move out to the middle of nowhere Wyoming, I wouldn’t be where I am now. It was the best decision I’ve ever made. If an opportunity comes around and it gives you that nervous exciting feeling, my recommendation is to take it. You never know where you’ll end up. I see that NOLS has locations all over the world, and its headquarters are in Lander, Wyoming. As the senior graphic designer, where are you stationed, and does that location ever change? NOLS world headquarters is in Lander, Wyoming which has some challenges. I’m pretty landlocked in a small town, however, it’s a wonderful and friendly community with access to all kinds of outdoor activities. Although I’m based in Wyoming, I do have the opportunity to take NOLS courses in the wilderness at any of our locations. Two years ago, for example, NOLS sent me on a course in Arizona at our NOLS Southwest location for a 30 day backpacking trip. This was the most challenging and life changing experience I’ve ever had. Being able to to see what we do as an organization on a personal level made me even more proud and excited to design for this organization. On your bio it states, “at NOLS I get to collaborate with passionate people to create meaningful pieces that support a mission I’m proud to be apart of.” Could you elaborate on what that mission is? I always wanted to work for a nonprofit and create work that impacted the world – I even took a course called “design for good” when I was at BG. When I applied for a position at NOLS I really aligned with their values and their mission to educate individuals to become leaders in outdoors. I grew up with a deep connection to the outdoors and to be able to design for an organization such as NOLS is pretty amazing. Your bio also states that when you’re not at work, you can be found “cycling, hiking, or cross country skiing.” Do you ever get inspiration from your adventures? I think that these adventures help me maintain a work/life balance and give me the opportunity to disconnect. Taking a break from the computer always give me space to restart my creativity and avoid burnout. I will often take a sketchbook and watercolors and just take time for myself and enjoy everything that nature has to offer. As far as inspiration, I think I’m inspired most by the work NOLS does and the passion it has to make a difference in the world. Lastly, Louise Fili once said: “Follow your heart. Find something that you are passionate about, and combine that with design.” Do you think you have been successful in this endeavor? And, if so, do you have any advice for students to be successful as well? I do think I have been successful in this. Even with the difficulties of moving out west without any financial support and only a few of my things, I was able to make this job a reality. Being passionate about the outdoors and wanting to work for good people solidified my desire to have a career at NOLS. I also refused to settle for a position that made me unhealthy and unhappy. Before working at NOLS I had two internships that were in big cities and required long work hours. This was not where I was meant to be and so through trial and error I came to an internship where I thrived and was hired as a full time designer. I learned that you don’t always have to take the traditional path you can be a little risky and eventually find what excites you.